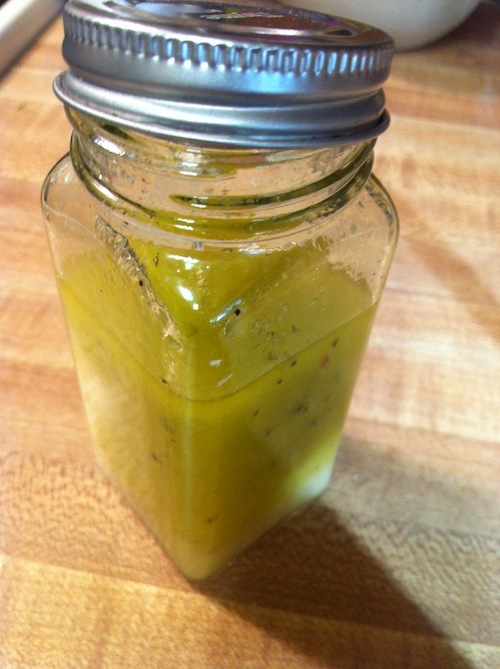 This is a great simple vinaigrette. It’s tart and zingy and goes well with other flavors. I thought it was the perfect accompaniment to this Steak and Blue Cheese Salad, but this would go great with pretty much any salad; it’s a great go-to salad dressing. I can say from first-hand experience that this recipe is truly amazing! I love the maple syrup in this— must be wonderful with the champagne vinegar. I am looking forward to trying it!